August 9, 2018 / Modified aug 9, 2018 2:38 p.m. 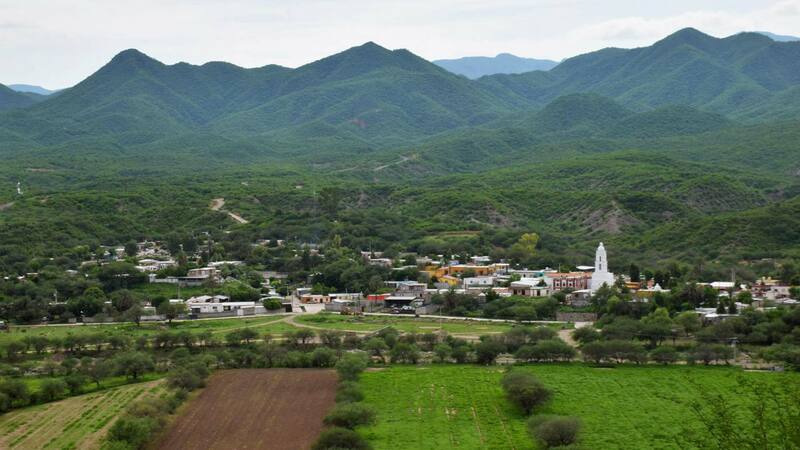 The little town of Bacanora, tucked into the foothills of the Sierra Madre Occidental in eastern Sonora. It’s one of many changes to the labor-intensive process of making bacanora. And some worry that as producers continue to formalize their production, these changes could alter the essence of the lightly sweet and smoky liquor native to this region of northern Mexico. 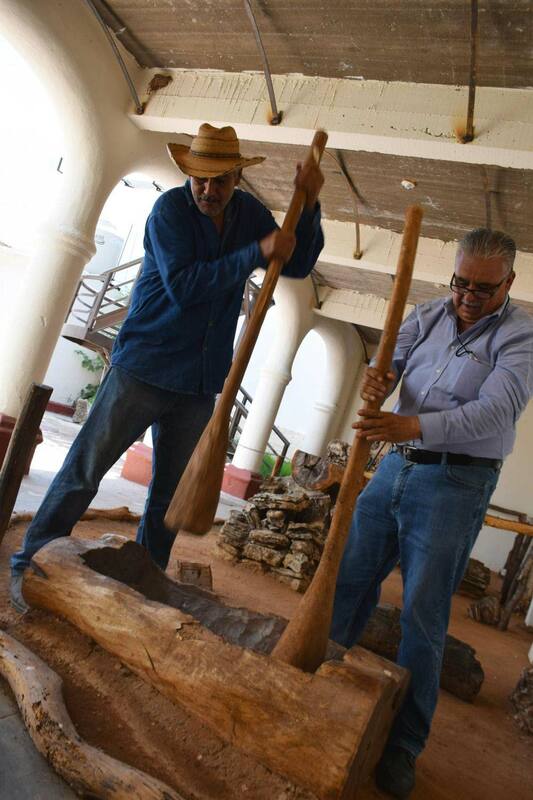 VIEW LARGER Juan Urquijo, left, and Manuel Chacon demonstrate how their ancestors used to mash agave with wooden bats in a trough they call a canoe. Bacanora started as rough fermented agave heart made by the indigenous Opata people. It was harvested from the wild, roasted with mesquite wood in earthen pits, then mashed and left to ferment. Then about 400 years ago, Spanish priests introduced distilleries that softened the drink and made it popular throughout Sonora. But in 1915, then-governor of Sonora, Plutarco Elías Calles, enacted prohibition laws that sent bacanora production underground for the next 77 years, until 1992. “So that was a big wall bacanora faced,” said Alberto Navarro, a Mexico City-based expert on agave distillates. 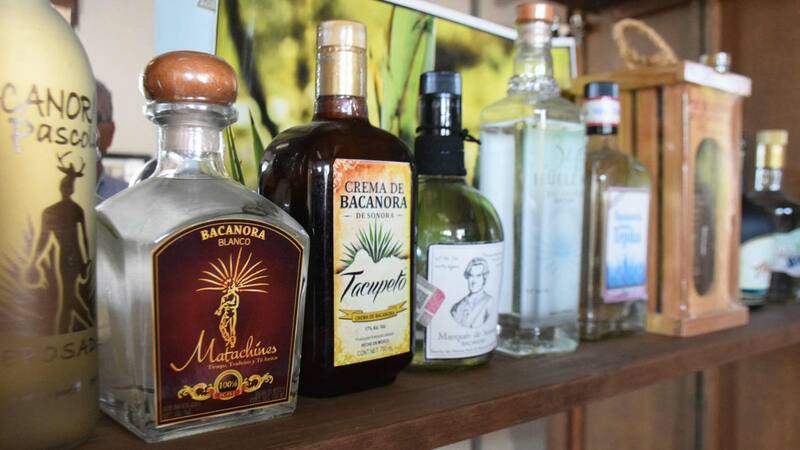 He says right now there’s only one brand of bacanora available in Arizona, and he’d love to offer a wider variety of the Sonoran spirit at his mezcal bar. But not at the cost of losing its artisanal quality. 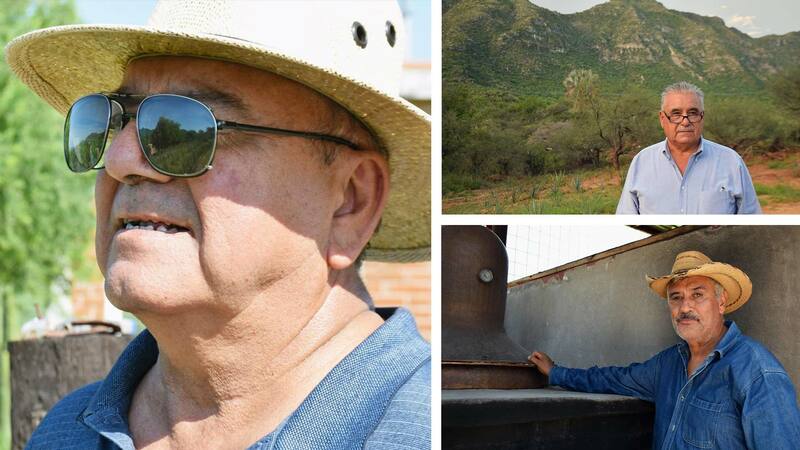 He says while bacanora producers are trying to get in on the booming mezcal market, if they want to sustain a high-quality product that will be able to find its own niche, they can’t lose the traditional production practices that make bacanora special and reflect its fascinating history. Top, Enrique Aguirre's modernized still, used to produce Bacanora Don Jecho. At bottom, an example of what an early still would look like, Bacanora Museum. 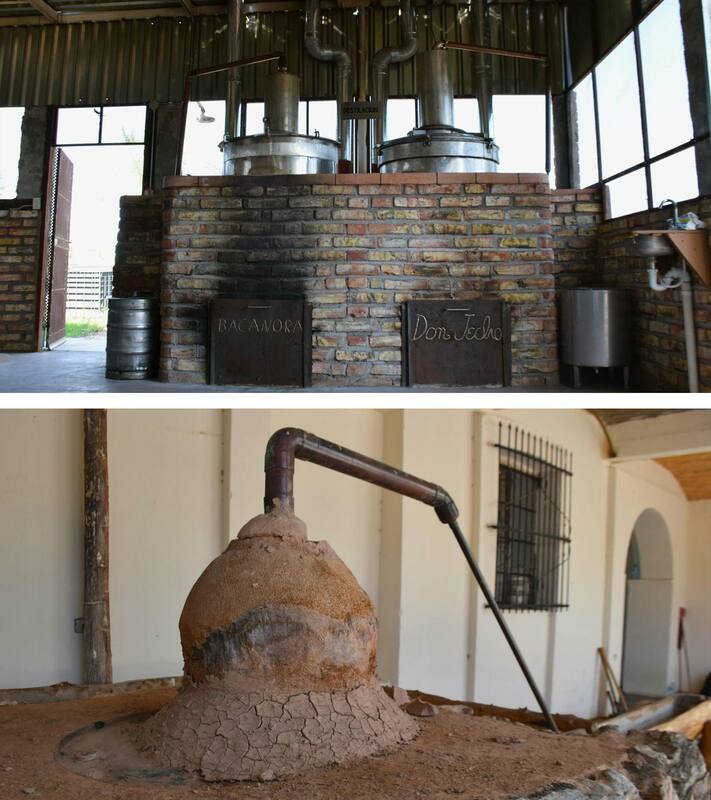 Back in the town of Bacanora, Chacón has modernized his distillery, or vinata. He’s moved production into town. A machine crushes the roasted agave, and a shiny copper still has replaced the typical pot-still plastered with mud out on his ranch. But he insists that his production will always be artisanal. A few blocks away from Chacón’s distillery, his friend Julian Urquijo makes the liquor in a corner of his yard just up the hill from his family’s chicken coop. He continues to use a rustic still, and has a long way to go if he wants to formalize and sell in the United States, he says. But that’s the goal. They’re turning bacanora making into a business. And they dream of creating a thriving industry that will provide jobs and decent living for people here. 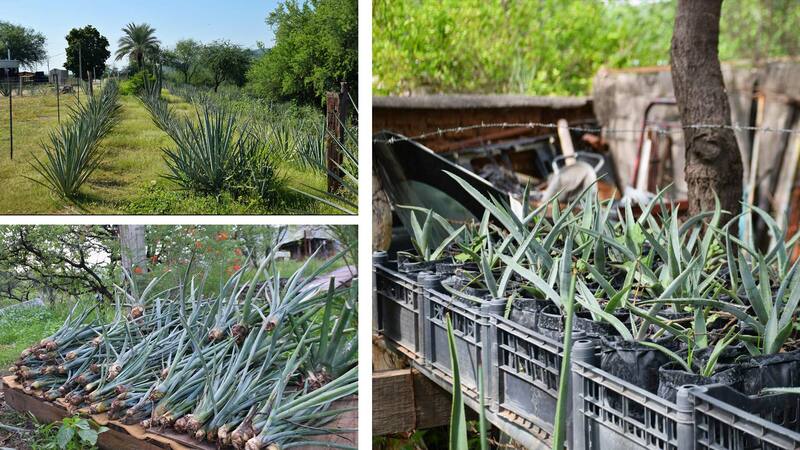 Clockwise from left, Julian Urquijo grows agave in his yard; rows of agave at Rancho Canoas; hijuelos, or agave sons, are used to sprout larger plants that will be transplanted for farmers starting to cultivate agave. “If you irrigate agave, even with a small amount of water, if you irrigate, instead of maturing and being ready to harvest in eight or nine years, it’s ready in five or six years,” he said. Clockwise from left, Enrique Aguirre surveys his fields; Manuel Chacon on his ranch outside of Bacanora; Bacanora producer Julian Urquijo. But that won’t be enough to make bacanora truly sustainable, says Vianey Del Rio Guerra. She is studying agave sustainability at the Technological Institute of Sonora.